March 27th, 2018 was a day of remembrance at Olympic Stadium in Montreal. A day which most people who were Expos fans, and still are, felt that one of their players won the game for them. 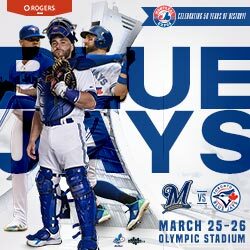 It was one of the smallest crowds for a spring training game in Montreal, but it was probably the biggest highlights of the games that have been held at the Big O since 2014 and one of the reasons why it made the people of MLB see that baseball being back full time in Montreal is not a pipe dream. Vladimir Guerrero Ramos Jr was born in Montreal, Quebec on March 16th, 1999. Vladdy Jr doesn’t speak a word of French and struggles to say two consecutive words of English. Moreover, the Expos had nothing to do with his development as the top prospect in baseball. Plus, his souvenirs of being in Montreal were mostly about ice cream. The homerun Vladdy Jr hit off Cardinals pitcher Jack Flaherty in the bottom of the 9th felt like a walk-off win for our team although it’s been gone for 14 years. Having seen, in person or on TV, all the pre-season games that have been played in Montreal by the Blue Jays, they mostly end up being one big love affair between baseball and Montreal. But last March was different. It’s like the baseball Gods were saying that although we’ve been without a team for so long, that we were not forgotten, like we were saying to Vladdy Jr that he was not forgotten. Not recently has a talent, like Vladdy Jr, come out of the minors, with such close ties to Montreal. Montreal born Jesen Therrien, who did not pitch at all for the Los Angeles Dodgers in the 2018 season, should be back in 2019 after recovering a full year from the Tommy John Surgery. And everybody who remotely watches baseball also knows about Russell Martin being born in East York, Ontario, but spent most of his youth in Montreal. But when was the last time Montreal REALLY celebrated the potential of a new player? A future All-Star. 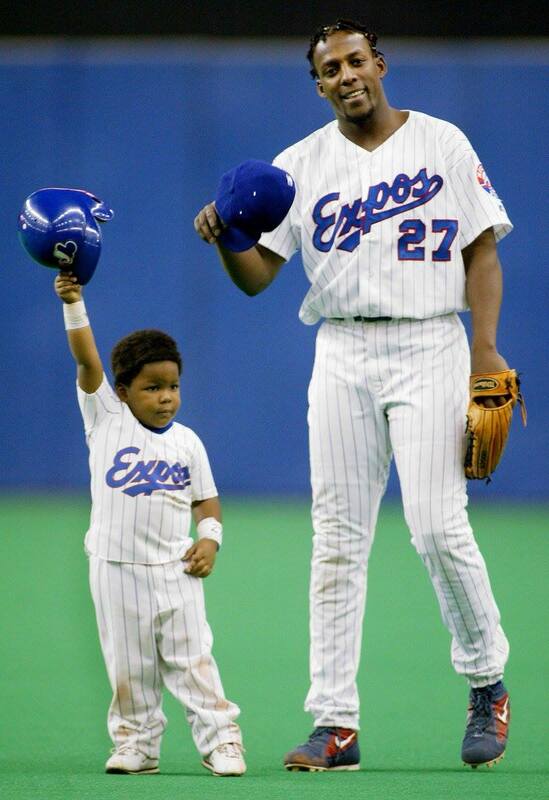 When I first saw the images of Vladdy Jr coming back for a last curtain call after hitting that 9th inning home run, I immediately thought of the famous image of a young chubby cheek Jr with dad dressed in Expos gear. The wave. Although he might not remember anything which is non ice cream related from those days in Montreal, we can probably say that if Montreal fans had not embraced Vladdy Sr like they did, the 2018 Baseball Hall of Fame inductee might not have become the player that he is, and he probably would not have transferred that passion on to Junior. Although some might question that recognition from Senior as he went in the HOF as a member of the Angels. But if it wasn’t from the Expos and then Vice President of the National Operations of the Expos Fred Ferreira, Senior might not have become the All-Star it became. And Senior knows that. In the end, baseball is often seen as a slow sport, but it’s also an opportunity for talking and sharing with family, with friends, with complete strangers. For a little more than three hours, the rest of the world stops turning and you head back through time. Next year, for the Blue Jays series again the Milwaukee Brewers, Evenko is planning to celebrate the 50th anniversary of the birth of the Expos. I say let’s step back in time together, cherish those special moments of Montreal baseball and look towards the future. Even if we don’t currently have a team, I think we can all say that we are fans of baseball.